Optimistic Anthropology works with individuals, organizations, and cross-sector collaborations that have a passion for making the world a better place for all people, a commitment to learning, and an openness to working differently than they have before. Learn more about our Clients & Collaborators. Expand you, your organization, and/or your collaboration’s contributions to a more positive world. Check out testimonials from people we have worked with in the past. 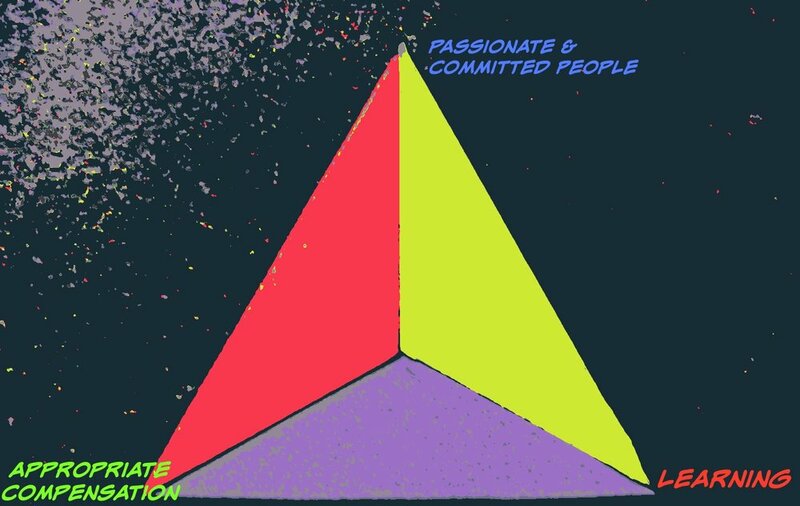 Optimistic Anthropology's Engagement Evaluation Triangle reflects what we look for in clients and projects, because it encompasses the conditions that will unleash our best work. learn something new, whether about an organization, industry, issue area, community, or geography. When choosing opportunities and clients to engage with, we consider these aspects equally as important as fair compensation for our services. It's our Engagement Evaluation Triangle! Does Optimistic Anthropology sound like a consultancy that shares your ethos?